Semi-fitted A-line shirtdress in five lengths has rounded collar and band closing. 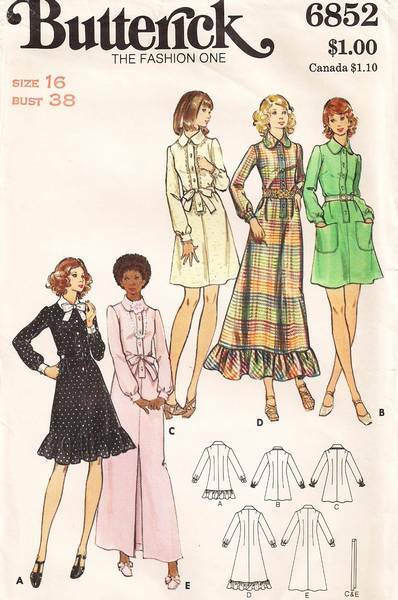 Full length sleeves gathered into buttoned cuffs. Optional bias ruffle at lower edge, patch pockets, topstitching and trim variations. Self tie or purchased belt.